Tools needed: Ratchet & 19 mm socket, Torx screwdriver size 30 I believe, Philip head screwdriver, small flat head or pick. Steering wheel puller may be needed. 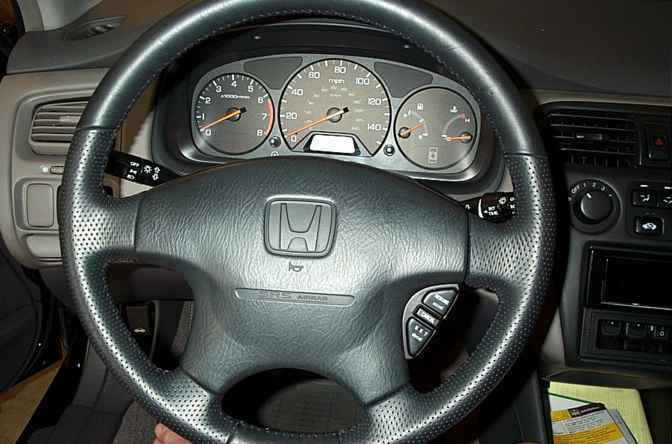 Parts needed: 02-03 Acura TL Type-S, CL Type-S, or 02-03 MDX steering wheel. 04's won't work, trust me I made that mistake. *Those with a black steering wheel and column will have a much easier time since the wheel itself is a direct swap. For those unfortunate like myself who have grey steering columns and wheel will have to swap the entire column cover, wheel, and air bag if they want everything to match. Step1: Disconnect the negative terminal of the battery, and don't start work on the car for 5 minutes after the terminal has been disconnected. This will clear all remaining power in memory. Step2: There are 3 plastic covers that will need to be removed. 2 of them are on each side of the steering wheel. 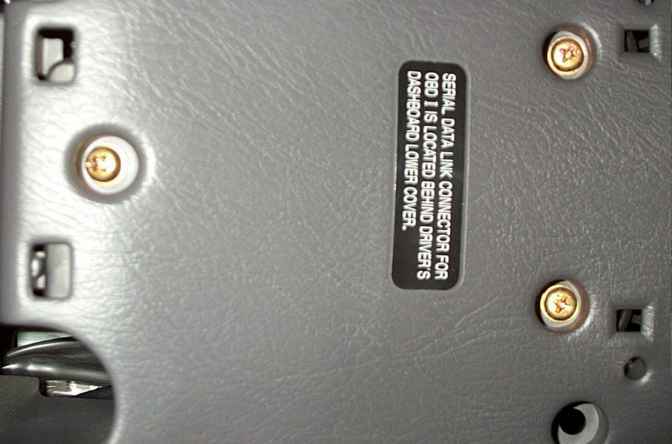 These cover the Torx screws holding the airbag in place. 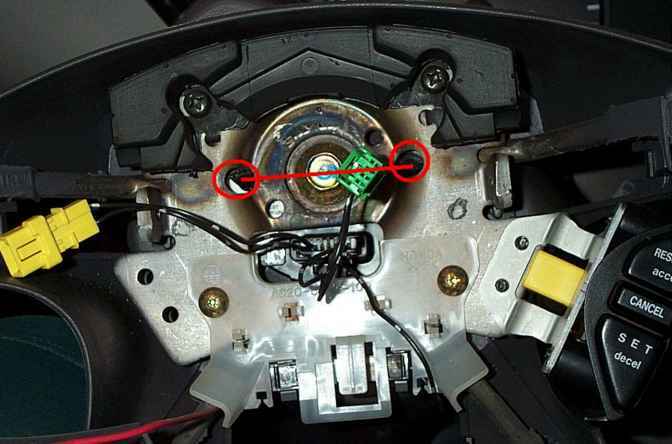 The 3rd one is on the bottom of the wheel covering the harness plugging into the airbag. Using a pick or a small flat head screwdriver, remove all the covers. 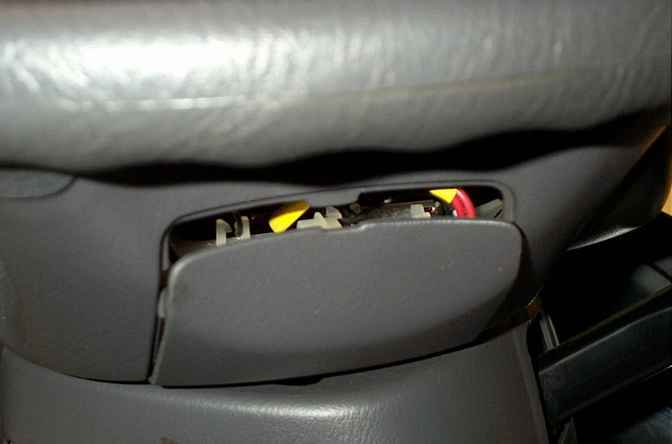 Step3: First thing you want to do once the covers are removed is to disconnect the harness for the airbag. Unclip it from it's holder, pull it down so you can see it, then holding it as shown in the picture, just pull to slide the plastic jacket back towards the red wire. This will in a sense, 'eject' the male part of the harness. Step4: This could require a lot of force. Unscrew the torx bolts. I believe the size is 30. Mine was a bit siezed and required some serious brute force. Step5: The air bag should be completely free. 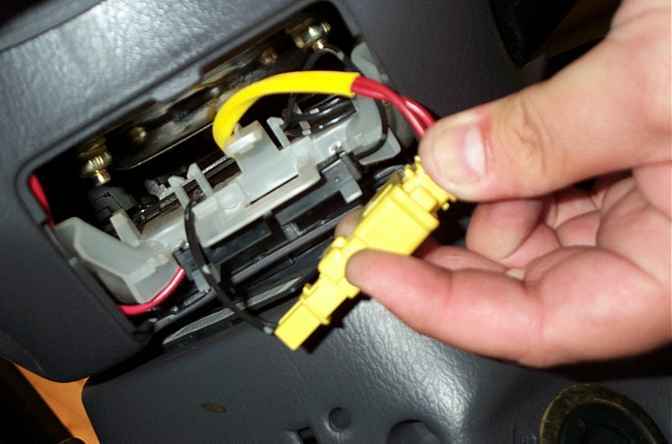 Pull the air bag out a bit and make sure all the wires are not looped into the plastic. Remove. Step6: A breaker bar will help in this next step. Using a 14mm socket, loosen the nut in the center of the steering wheel holding it in place. 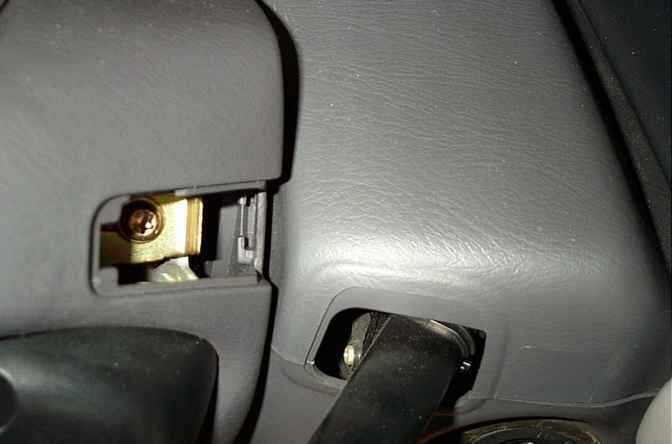 Once the bolt is removed, turn the wheel until it locks. Remember the position of the wheel!! Locking the steering wheel keeps it from moving around so it allows for a more accurate position for installation. Step7: Now, bang the sh*t out of the steering wheel from the back one edge at a time, then both to loosen it. If you lose the battle, I guess you'll have to resort to the steering wheel puller that you can borrow at some local auto parts stores. Step7b: Now, if you need to change the steering column panels as well, these are the instructions.. if not, skip to step 8. There are 3 screws on the bottom of the steering column, remove the 3 screws. 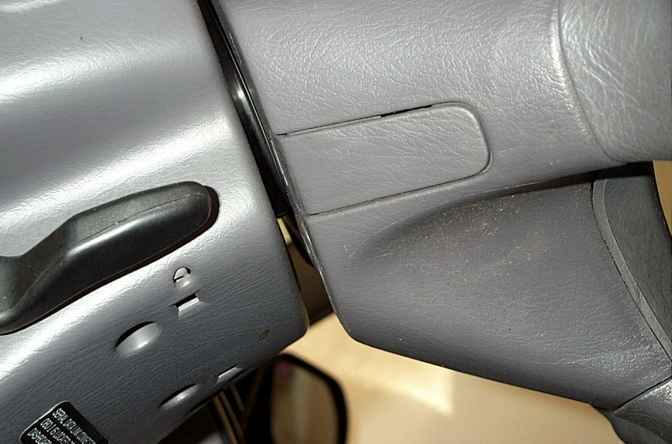 Lower the locking lever for the steering wheel tilt and you'll need to squeeze the sides of the bottom half of the plastic. It's like little latches holding the top and bottom pieces together. Step8: You'll have to transfer the plastic wire guide and the rubber vibration damper on your stock steering wheel to the new one. I think the screws for the damper didn't fit on the new one, so I had to dig in my spare hardware bin for some that fit. You might be lucky and everything fits fine. Step9: Reverse the removal process for installation of the new wheel.